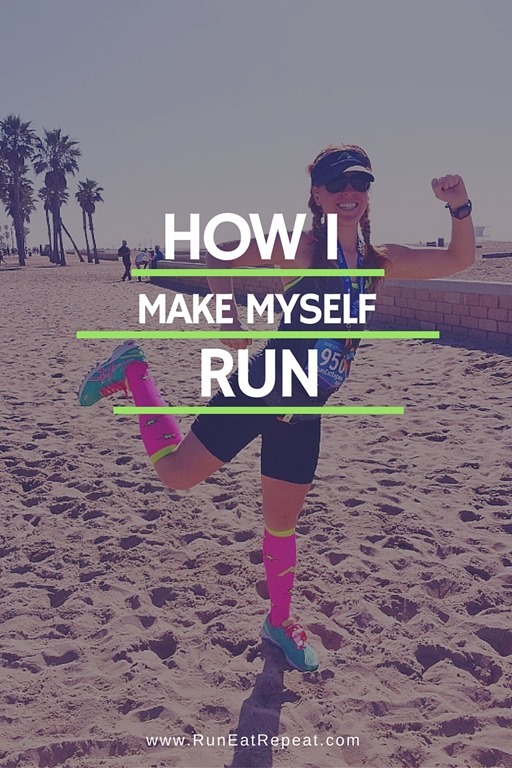 It’s funny because every time someone asks how I make myself run or how I stay motivated I don’t really know what to say – which is super not helpful Monican! And I want to help! Finally the answer came to me the other day as I was headed back home after a long run and I realized I should share with the class. 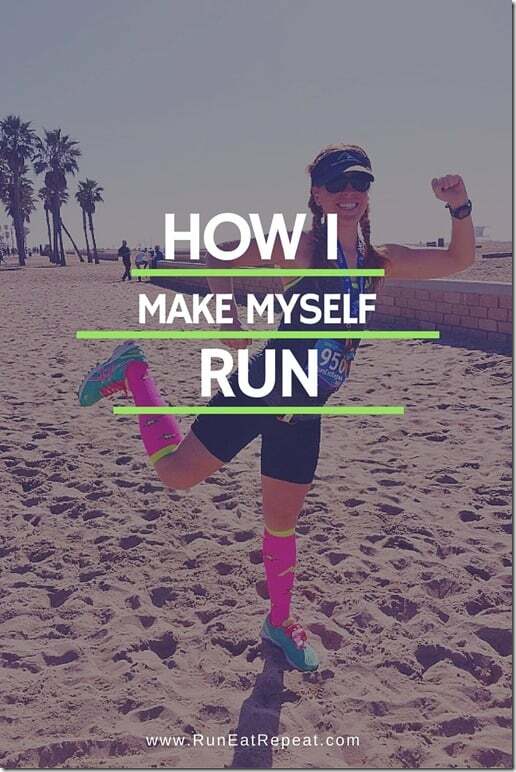 How do I make myself run? It’s never a question of whether or not I’m going to run – it’s automatic. Five days out of the week I run unless I’m traveling, sick or injured. Just like I brush my teeth or feed the cat – it’s that ingrained in my life. I run because I want to run. I like to run. I run because I’m a little addicted to running. It’s fun. 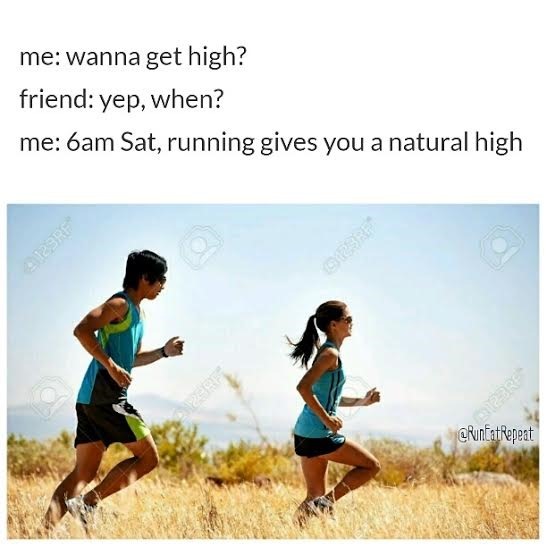 I get to run! I never have to force myself to run – I don’t give myself the chance to debate it! I run. It’s not optional. Yes – there are days when I want to cut my run short and that’s another story. 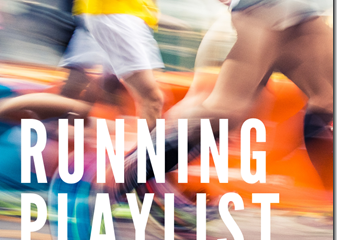 When I’m training for a race and have a long run or it’s super hot and I’m sweaty and tired – those are times when I need motivation and positive mantras to finish a tough workout. But I never feel like I am ‘making myself’ run. And I think that’s the key to it (for me at least). I have found an exercise I like to do – running. I look forward to it, I don’t dread it. And you should find an exercise you like to do too. You don’t have to run. 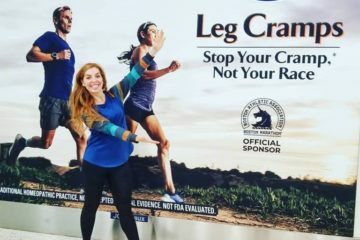 In fact, I’d say you shouldn’t run if you hate it. Life is too short to make yourself do something you hate that you don’t get paid for. My #1 piece of advice for anyone who wants to get fit is to find an exercise you enjoy. I found running (on accident but that’s a story for another day). I have to push myself to work harder and run faster and farther but I never have to force myself to start. Do what you love and you won’t need to force yourself, you’ll look forward to it! 1. Pick a route and distance you like. Run past a pretty garden or a house that is always cooking bacon in the morning. Run at the beach or a peaceful park – somewhere enjoyable to pass the time. I have a favorite short run route I do on days I’m short on time or feeling burnt out. 2. Sign up for a race and find a training plan. Just expecting yourself to run without a purpose might not work to get you out the door. If you need a reason to run find one in the form of a race or running group. Question: How do you make yourself run or workout? Have you found something you love to do? I love this post, especially the 3 tips you gave at the end of the post to stay motivated. Your blog is inspiring as well! Keep up the great work because we’re all enjoying it. I love to hike, but the nearest long, hilly trails are an hour away, and I can hike for 8 hours and still have energy left over, so I started running. I tried walking my neighborhood in between hikes, but after 2 hours had to come home to pee, and I just don’t have time to walk that much! 🙂 So I started running. Funny how my leg muscles never hurt, but my lungs sure do! I totally agree, it’s all about finding something that you love. I love to run but if It comes in peaks and troughs- if I’m not feeling it I do something else for a while, but I always, always come back to running! You just go. Every day (except sick or travelling). No excuses, and it becomes part of a routine. Is it always easy? No, but no matter how crappy or unmotivated I’ve been feeling, I’ve always, always, always survived. And I’ve never, never, never regretted it. Totally random and unrelated, but how old are you? I’m with you. I love to run. It’s part of who I am and what I do. I’m injured right now, but I bike. I do it everyday and I love that too. Working out is non-negotiable. I think you have to try things out but you’ll know when you’ve found it! Make it a date run – with a group or friend(s); you can’t back out coz someone is waiting for you. It’s called the Garmin Vivofit. I try and get 12000 steps a day and running helps. Especially on days I am sedentary at work. I also consider running my anti anxiety medicine so if I don’t get my dose 3x a week I get way anxious. I love to run! And I don’t get it when people make themselves run if they don’t like it. There are tons of ways to stay healthy. Find what you enjoy and do that! My only wish with running is that if I was a little faster then I would be able to run more miles in the morning. But I’m working on it. Some days better than others. I’m with you. 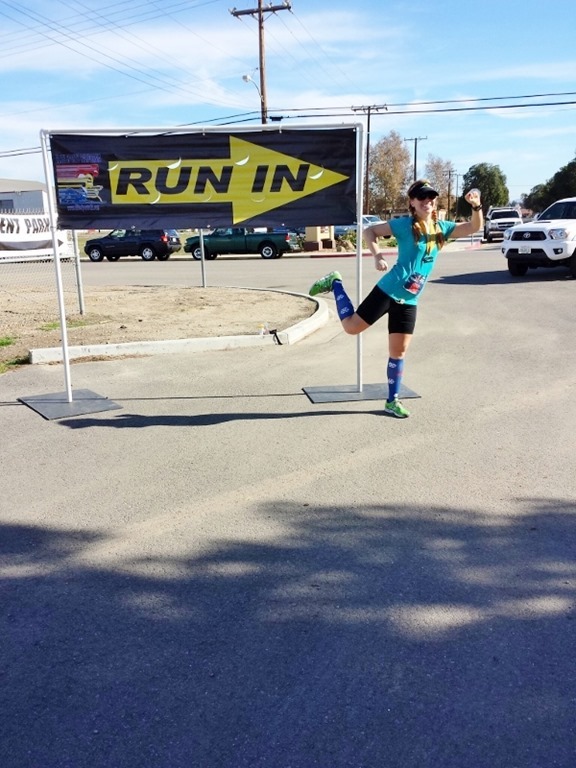 I just run for the love of running. I have my morning coffee and hit the road. However, this year I did join Strava and some local running groups to help me stay motivated during the hot months. These things haven’t made me go run, but I like the camaraderie and have run more miles as a result. If I get up, lace up, and go — before my brain has a chance realize what’s happening — I’m well into the run before the fact that I might’ve hated running even comes into play. I really, really want to love running. But its hard for me. So I don’t love it. I sign up for a few races a year and put together a training plan and go through the motions of training for the race. And I like it, but I don’t love it. But I really WANT to. So i just keep doing it in hopes that one day it won’t be so hard for me and I’ll love it! I don’t know if this is right or wrong. Running is pretty hard for me so I find it best to have a goal to work towards so I’m signed up for a race which I’m training for. My husband can just get up off the couch and go off running for a few miles like’s it’s no big deal. Not me. It’s pretty unfair. I like running somewhere pretty though, it makes a big difference. I totally agree with your sentiments in this post. I love working out because I found types of exercise that I enjoy (mostly cardio) and making it a habit makes it something I crave doing. totally agree that you have to find an activity that you love. I also think that it just becomes a habit after a time. i try to run early in the morning, and i always have that split second thought of staying in bed, but i know i’ll feel so much better if i get that run in. plus seeing results/progress makes it that much easier to keep going. I used to LOVE running and then after last year I just wasnt loving it anymore. So running and I are on a break. And that’s fine. I wrote a couple posts on how you need to find something that you enjoy or you prob wont stick with it. Don’t do anything because you “should” or bc “everyone else is doing it.” You do you boo (insert ghost emoji). As a long time reader I really liked this post. I feel like it was a good mix of well written information and still plenty of your sense of humor/voice. Hope that doesn’t sound weird, lol. Agreeing with Lindsay- that’s when I started to enjoy running too. I used to dread it- really force myself to get going. Now I turn on a podcast or audiobook and out I go.